New for 2017 - the Standard L Tractor, offering more power, cleaner emissions, and a bold new look. This 33hp tractor is quieter and more comfortable than any other tractor in it's class. Known for their reliability and power, Kubota diesel engines generate outstanding horsepower, yet are more fuel-efficient, and cleaner burning, thanks to the Common Rail System (CRS) with electronic controlled direct fuel injection. The engines comply with the latest EPA tier 4 emissions regulations. 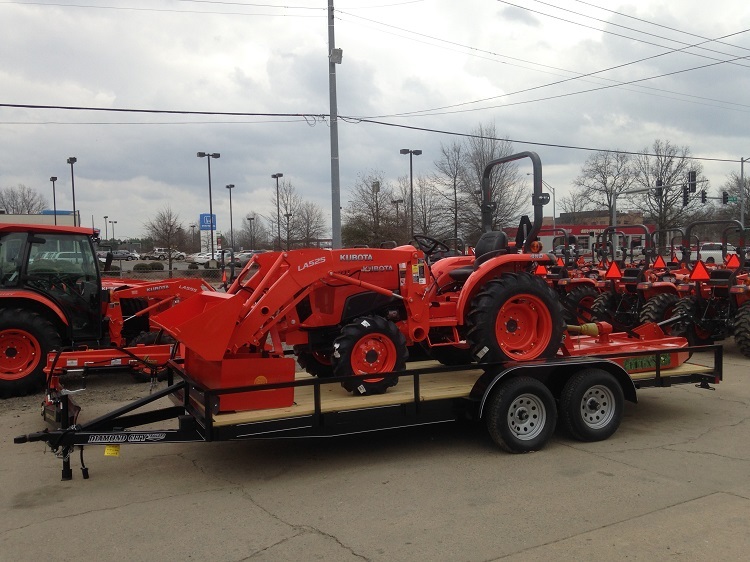 OUR PACKAGE INCLUDES L3301DT with AG tires, LA525FL front loader, 5' box blade, 5' rotory cutter, and 18' powder coated pipe rail trailer with brakes and ramps. We also offer "0" Down "0" % FOR 60 MONTHS ON APPROVED FINANCING. FINANCED PRICE IS $23,925.00 WEB PRICE IS CASH PRICE.